Are you looking for a totally unique and thoughtful Halloween gift for the kids in your life? 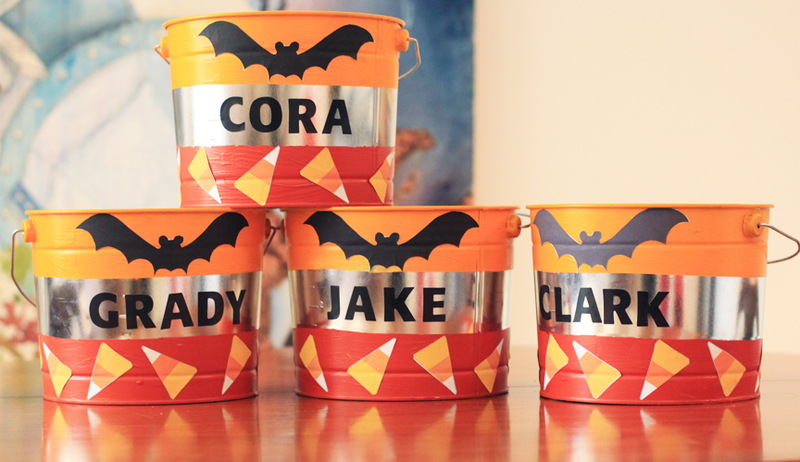 I whipped together these DIY Custom Halloween Buckets for my nephews and nieces in just a few hours. I purchased the metal buckets from my local hardware store for about $6 each. Then I used some blue painters tape around the middle and acrylic paint to paint the top of the bucket yellow and the bottom orange. Last, I created candy corn and bat stickers and printed them out onto sticker paper. I've included a printable version of the stickers in my supply list below. 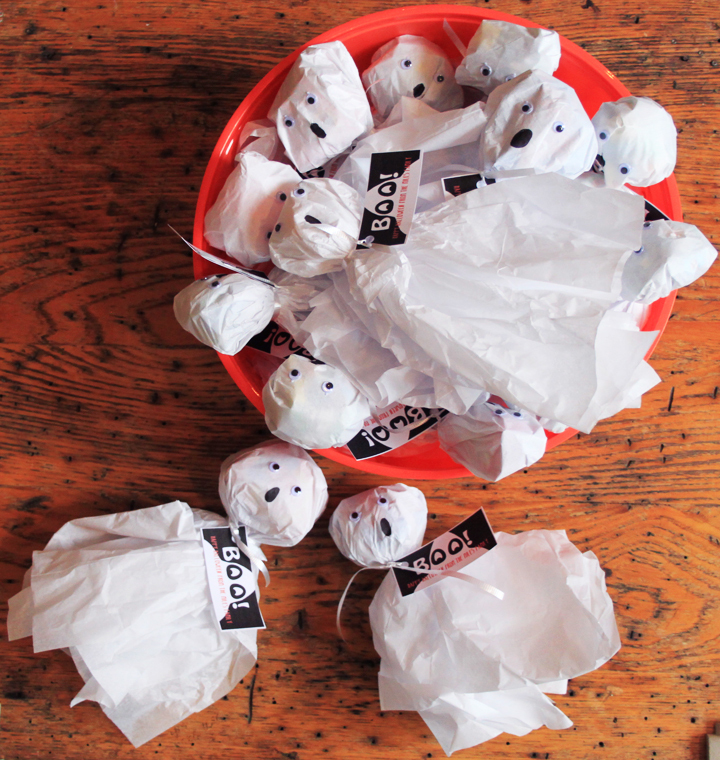 The great thing about these Halloween buckets is they can be used year after year! 1. Use 1.88 inch blue painter's tape around the middle of the bucket. 2. Paint the top of the bucket yellow and the bottom orange and let dry. 3. Print out the candy corn and bat stickers on the Avery Sticker Paper. 4. Cut out the stickers and place them on the bucket. 5. Use letter stickers to write the name in the center of the bucket.